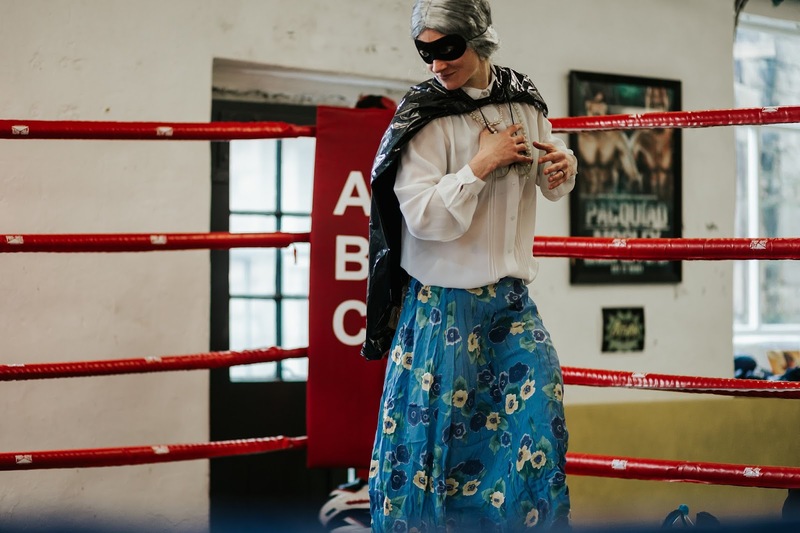 If you're new to boxing or boxing fitness, it can be daunting to go to a boxing gym for the first time. 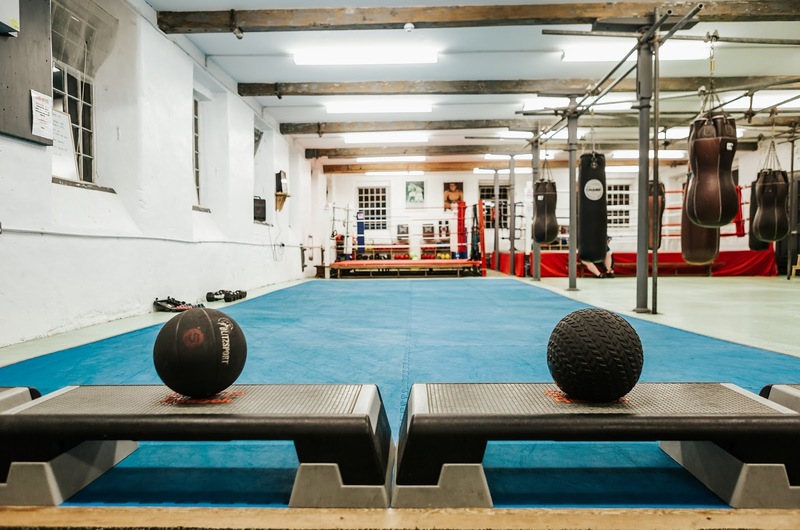 Many have images in their minds of the spit and sawdust gyms we see in films - with a resident bully coach who either banishes you to a skipping rope for 3 months or throws you straight into the ring before you've learned to throw a punch. 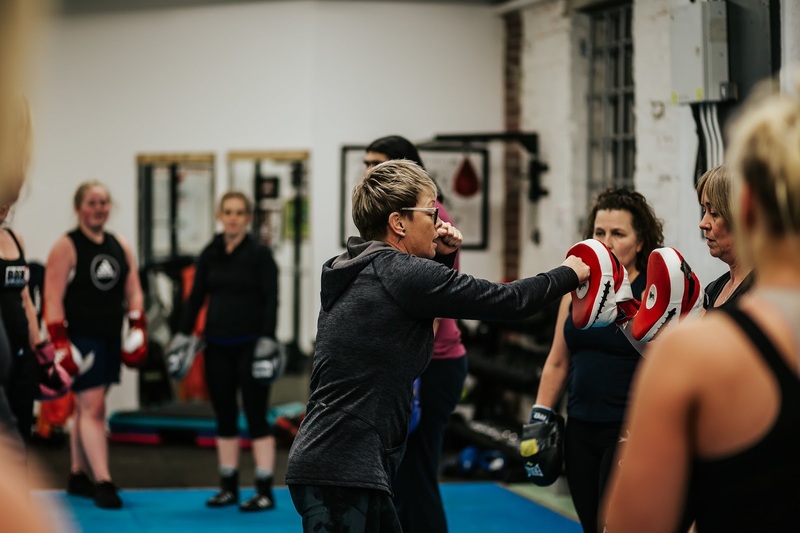 Box 4 Fitness offers 8-week Beginner's courses, regular 3 hour Foundation courses and coaches who'll support you whether you choose the sport of boxing or just want to train for fitness. Led by female instructors and coaches, most sessions are for girls and women apart from 2 circuits classes per week where we invite everyone to join in for a mixed session. You will not find passengers here, everyone who comes to the sessions not only participates but also encourages and supports everyone else to help them achieve their training goals and get the best out of the class. 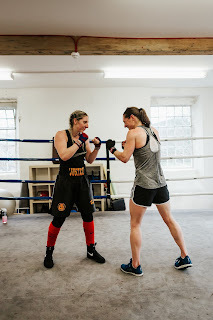 We train as a team, often in pairs and always inclusively - you will not feel left out in the gym even if you don't know anyone. 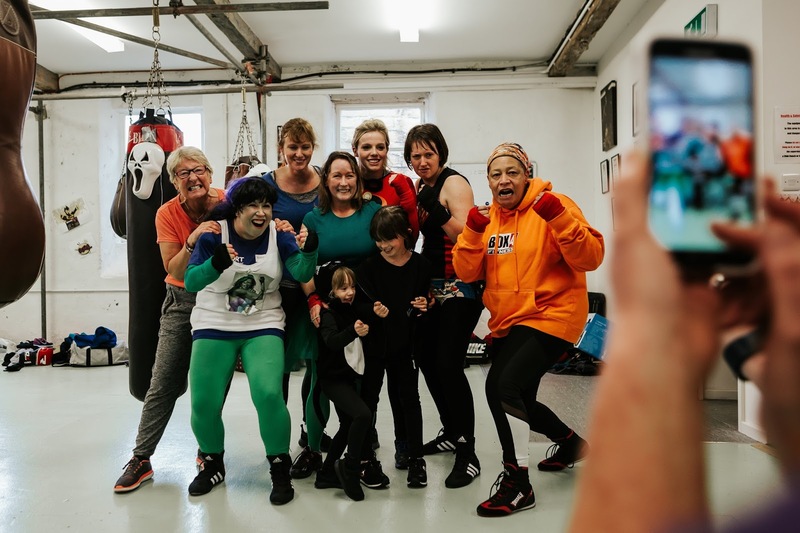 We've been running sessions for more than ten years and have seen some solid friendships born in our gym - it's a great support structure for girls and women and very empowering. We laugh a lot and occasionally get dressed up and perform mad antics to raise funds for the club. What's it like in the gym? We like to train in a natural, no frills environment and do not use air conditioning or heating in the gym. We don't sell products or shakes or magic beans of any description. There's a toilet but no showers, a changing room and a car park outside. We've a large matted area and 2 boxing rings so we ask that people have clean footwear at all times - either boxing boots or flat (no stud) trainers. There are 13 punch bags and a weights and kettlebells area for conditioning. You can borrow club gloves for the fist few weeks until you decide if the training is right for you. 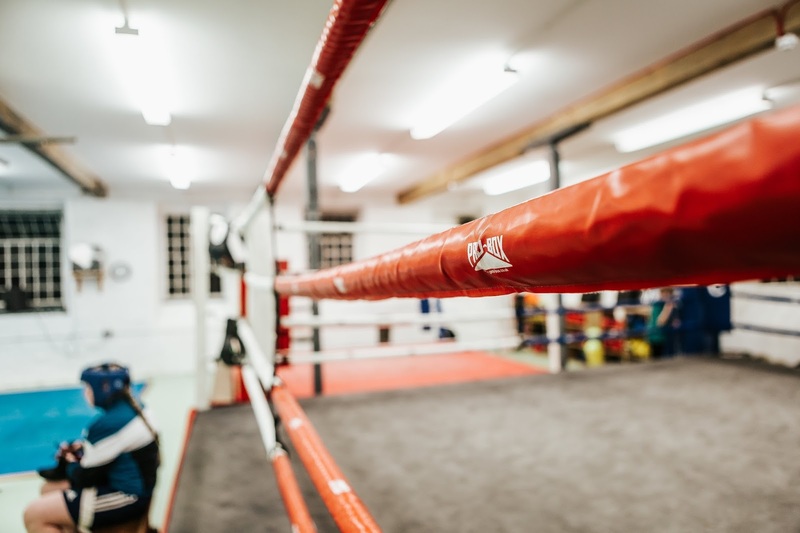 You'll need hand wraps and your own gloves eventually if you are just participating in fitness sessions and a head guard and mouth guard if you are going to box. Wear: a vest or t-shirt/top that fits and does not need pulling up or down when you exercise (impossible with gloves on). Shorts, tracksuit bottoms or leggings - again, make sure they fit you. Just be comfortable, nobody cares what you're wearing as long as it's functional. Long, pointy nails are very difficult to punch with and false lashes are a deffo no-no for sparring. Which class to start with? This totally depends on your schedule. If you can make daytime classes, they are quieter and you will get more coaching and attention from instructors. The evening classes can get very busy but if you're happy to jump in and catch up as you go - there will be people there to help you do this. Ideally, the 8 week beginners course which runs periodically on Tuesays 7.30pm and Saturdays 11am is the place to start as a newbie. The shorter, more boxing fitness focused Foundation course is less of a commitment in time and money and great if you want to get started quickly. Located in Mt Pleasant Mill at the top of Ribstone St in Mytholmroyd, HX7 8LR. Like our facebook page and get directions.